The best crime movie lines come from the underworld. Famous godfathers, original gangsters, criminal kingpins, master thieves, bank robbers, mobsters, hustlers, thugs and hooligans who played the role on film. Crime movies present the life of a criminal life of power through struggles with the law or rival gangs. Film gangsters use street smarts and brute muscle in pursuit of power and wealth. 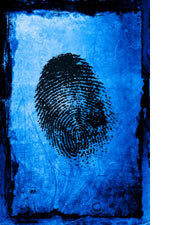 Master criminals are more sophisticated, using technology and a detailed strategy to achieve illegitimate ends. Real life situations from crime history are often portrayed in crime and gangster movies. Most crime figures are doomed to fail and suffer violent deaths. Others slip through an opening in the system. Some you cheer for in a surprise ending twist of truth. Score big with these shady classics.